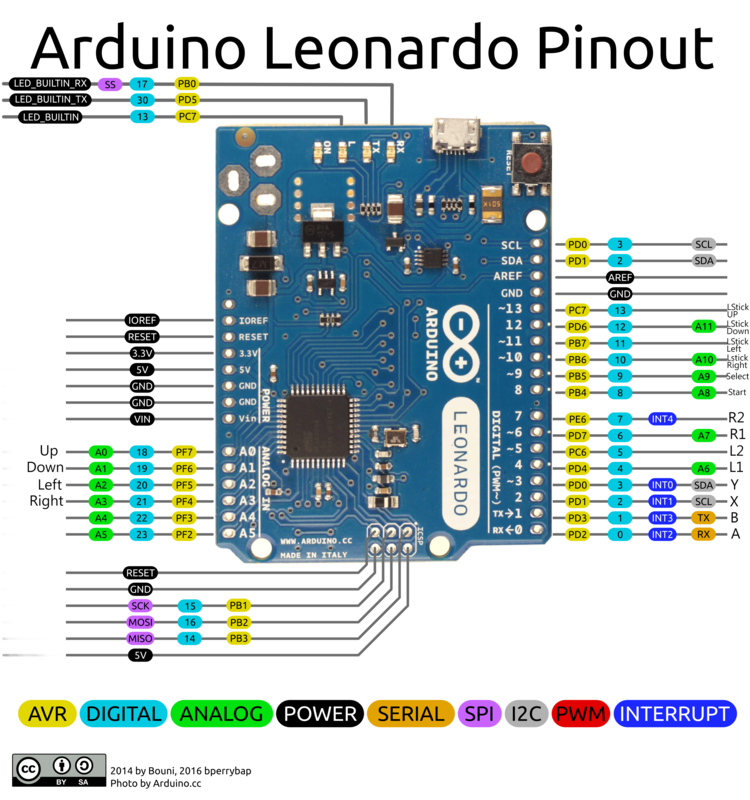 Hello I have an Arduino Leonardo R3 board and I sort of hope you could remap some buttons to some pins for that board if you don't mind that is. Hi there! Any reasons why you can't follow same pinout of the Leonardo Micro? Both boards share the same micro-controller. They should still work. Which pins have you tested and didn't work? Yes, they are wired up to leds. But have you actually tested it? It should work out of the box without having to mess with the smd leds. Arduino micro has the same leds wired up and everything works. Please fork this repo so one can implement the specific changes you've requested. I might send you a pull request once I have some time to play with this. Cool! Please add me as a collaborator of your forked repo. stupid question: how do you compile this? Just saw you have compiled it. Here's the .hex anyways.